It started with a pillowcase dress…and grew into a worldwide movement: crafters using their passion to help those in need. 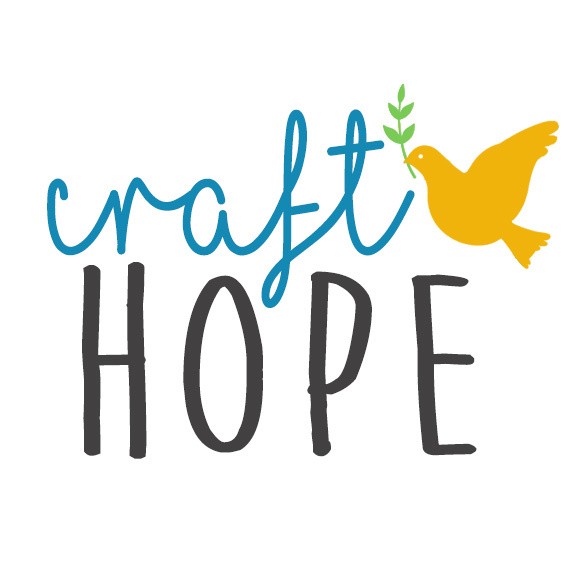 The Craft Hope blog-which organizes crafters to make handmade items for charities-has attracted followers around the world. This book, written by the site’s founder and featuring crafting’s hottest start, celebrates the cause and encourages others to join in. Each project is matched with a specific charity, with alternative suggestions for local places to contribute the item. The projects-all with beautiful photographs, step-by-step instructions, and templates-include: cheerful quilts for hospitalized children, soft dolls for Nicaraguan orphans, tug toys for animal shelters, knit gloves for homeless shelters, a cloth backpack for schoolchildren in Africa, a stylish purse for women moving out of abusive relationships, and knit scarves for fostercare teens heading off to college. Contributors range from fabric designers Amy Butler and Heather Bailey to popular authors and bloggers such as Amanda Soule (www.soulemama.com, Handmade Home), Karri Meng (French General), Amy Ray (Doodle Stitching), Celine Dupuy (Simple Sewing with a French Twist), Vickie Howell (Craft Corps), Cathie Filian (Creative Juice), Susan Wasinger (Eco Crafts), and Betsy Greer (Knitting for Good).